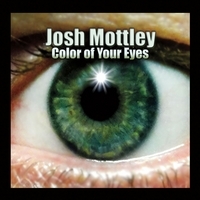 Josh Mottley - Color of Your Eyes – CD; 10 songs. All songs © Josh Mottley; (P) Josh Mottley and James Tessier / Surfview Records (858252004013) Price includes 1st class shipping in the USA. No shipments outside of USA. Dieses Produkt haben wir am Montag, 14. Oktober 2013 in unseren Katalog aufgenommen.